System simulation is a suitable method to address new development challenges with the result of shorter time to market. Without changing the simulation familiarity and learning a new tool, CosiMate's bus-architecture enriches simulation environments through native coupling to any other tool in use by colleagues, partners and suppliers. Collaboration between engineers of different disciplines is enabled and multi-physics co-simulation enriches engineering work. 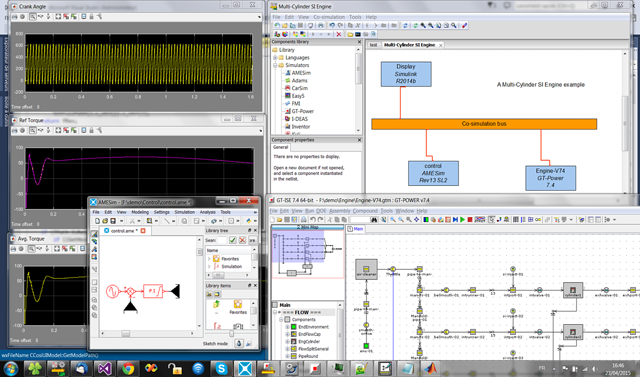 CosiMate supports model-based system engineering, enables simulation based design and allows virtual product development. It is a platform for multiphysics co-simulation with an open approach for interconnectivity to any simulator and standard. With its flexibility, ease of use and low cost of ownership, CosiMate is the preferred solution for any size and any scale system-simulation requirement. Chiastek is a privately owned company (SMB), headquartered in Toulouse with subsidiaries in Chicago and Düsseldorf. The company delivers software products addressing Model Based Systems Engineering. The main focus of Chiastek is to provide high value added solutions for verification of complex products in the aerospace, automotive, and communication industries. With customers around the globe, Chiastek has a proven track record of industrial use cases solving coupling and other co-simulation issues at design-, test-, and analysis-processes.